All the headlines from February. A poetry app was released on Valentine’s Day which featured names such as Helena Bonham Carter, Emma Watson and Tom Hiddleston reading romantic poems from Allie Esiri’s anthology The Love Book. Read more at The Telegraph, CBR and Chicago Sun-Times. The actress Kristen Stewart revealed she has been writing poetry for years and published a poem in Marie Clare which she described as “embarassing.” Read more including the poem itself at The Independent, PopWatch and The Daily Mail. 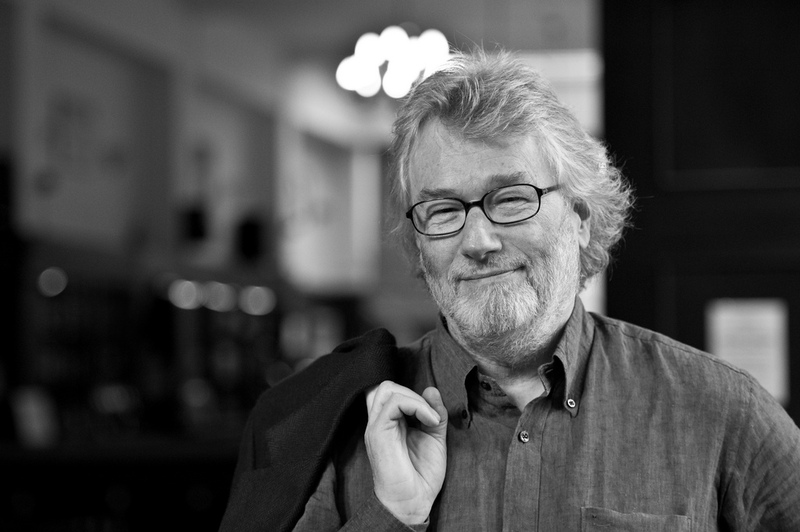 It was announced that a collection of poetry by Iain Banks, the novelist who died in June last year from cancer, will be published in 2015. Banks spoke about wanting to publish poetry in his final interview. Read more at BBC News, The Bookseller and The Star. The Arab-Iranian poet Hashem Shaabani, was executed in Iran for allegedly having links with a separatist terrorist organisation. The news shocked human rights groups worldwide. Read more at The Guardian, Huffington Post and Frontpage Mag. Maxine Kumin, the Pulitzer-winning poet who work was known for exploring the most complex aspects of human existence, died aged 88. Read more at The San Francisco Chronicle, The New Yorker and The New York Times. Michael Baldwin, the poet and novelist who had a passion for teaching others, died aged 83. Read more at The Guardian. Sebastian Barker, the lyrical poet much influenced by William Blake, died aged 68. Read more at The Guardian, Enitharmon Press and The Independent. This is Yarrow, the debut collection from Tara Bergin (rated 4/5 based on 2 ratings at GoodReads). Read reviews at The Guardian, The Carcanet Blog and Tower Poetry. Read an interview with Bergin at The Poetry School. Mad Girl’s Love Song, a biography of Sylvia Plath by Andrew Wilson (rated 3.7/5 based on 282 ratings at GoodReads). Read reviews at The Guardian, The Telegraph and The Scotsman. Read an interview with Wilson at Interview Magazine. All One Breath, the latest collection from John Burnside (rated 4/5 based on 1 rating at GoodReads). Read reviews at The Guardian, David Green Books and Herald Scotland. Read an interview with Burnside at Herald Scotland. The Outnumbered Poet, a posthumous collection of critical and autobiographical essays by Dennis O’Driscoll (not yet rated on GoodReads). Read a review at The Guardian. Holding on Upside Down, a biography of Marianne Moore by Linda Leavell (rated 4.4/5 based on 16 ratings at GoodReads). Read reviews at The New York Review of Books, The Telegraph and The Wall Street Journal. All ratings are from GoodReads as at 26/02/2014. All the essential poetry news from the month of November. 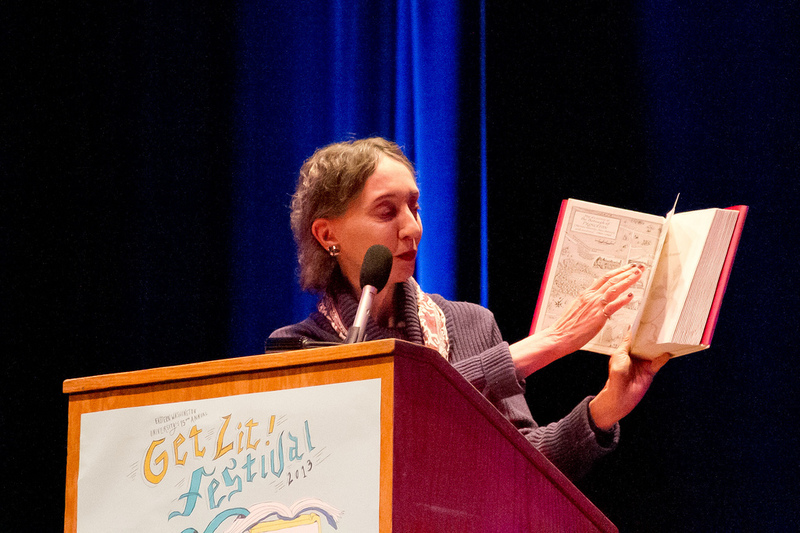 The author Joyce Carol Oates published a short story portraying Robert Frost as boorish and vainglorious, angering the late poet’s friends and family in the process. Read more at The Guardian, The American Conservative and The Washington Post. Michael Gove (UK Education Secretary) announced a shake-up of the GCSE curriculum, under which a greater emphasis will be placed on Romantic poetry. Read more at The Independent, The Telegraph, and The Daily Mail. Visualisations of characters from the poet Dylan Thomas’s play Under Milk Wood, painted by pop artist Peter Blake, have gone on display at Cardiff to mark the 100th anniversary of Thomas’s birth. Read more at National Museum Wales, BBC News and The Telegraph. CS Lewis was honoured with a memorial stone in Poet’s Corner at Westminster Abbey. Read more at BBC News, CS Lewis in Poet’s Corner and The Telegraph. 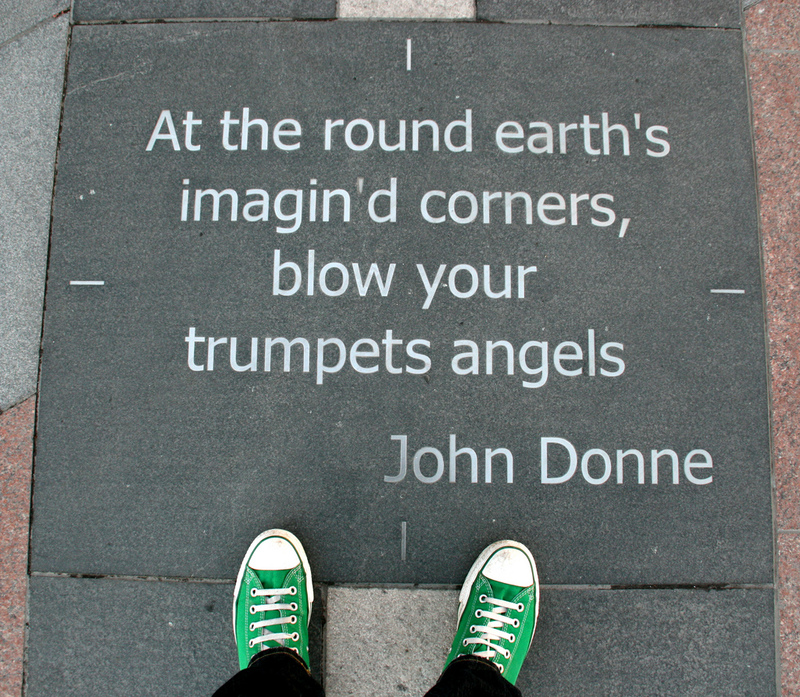 University researchers have recreated John Donne’s 1622 Gunpowder Day sermon in virtual reality using acoustic and visual models. Listen and explore at The Virtual Paul’s Cross Project and read more at The Guardian and The Anglican News Service. In an interview with Esquire, George Clooney revealed that Russell Crowe sent him a book of poems to apologise after calling him a sell-out. Read more at Access Hollywood, The Wrap and NY Daily News. A trailor was released for Tar, the independent movie about poet CK Williams which features James Franco and Mila Kunis. Read more and watch the trailor at IndieWire, The Wrap, and Cinema Blend. Valerie Eliot, widow of the poet TS Eliot, auctioned her British art collection for more than £7m at Christies, with the highest price going to a pencil and water colour sketch by John Constable. Read more at Blouin Art Info, The Times of India and The Huffington Post. Mary Szybist‘s poetry collection Incarnadine won the US National Book Award for Poetry. View readings at National Book Foundation and read more at OPB and UVA Today. Train Songs ed. Sean O’Brien and Don Paterson (1/5 based on 1 rating at GoodReads). Reviewed at The Guardian, The Independent and WriteOutLoud. War Reporter by Dan O’Brien (4.6/5 based on 7 ratings at GoodReads). Reviewed at The Guardian and Sonofabook. Author interviewed at The Malahat Review. Broken Hierarchies: Poems 1952-2012 by Geoffrey Hill (3/5 based on 1 rating at GoodReads). Reviewed at The Sunday Times and The Guardian. Division Street by Helen Mort (4.3/5 based on 9 ratings at GoodReads). Reviewed at Mouth London, The Independent and The Hungry Reader. Author interviewed at The Oxonian Review. Sleeping Keys by Jean Sprackland (4/5 based on 2 ratings at GoodReads). Reviewed at The Guardian, Tweet Speak and Poor Rude Lines. (all ratings are from GoodReads as at 22/12/13). A new biography of John Keats claims he was an opium addict at the time he contracted TB at the age of 25. If true he joins fellow Romantic poets Shelley and Coleridge as opium users. The Selected Poems of John Fowles, the author of The French Lieutenant’s Woman, have been published. Fowles is more famous as a novelist than a poet and the new volume includes many previously unpublished poems. Kahlil Gilbran’s classic poem The Prophet has been turned into a film by the BAFTA-nominated director Gary Tarn. It’s showing at selected cinemas in early October. Harry Chambers, the founder and director of the dedicated poetry publisher Peterloo Poets has died. There’s a plan for a poetry event celebrating Harry’s life to be announced in the next few months. And finally, Banned Books Week starts on Sunday, celebrating the freedom to read. This year is the 30th anniversary of the first Banned Books Week.